Manufacturer of a wide range of products which include frs upvc roof sheet, upvc tiled roof sheet and faisal lite upvc roofing sheets. We are pleased to introduce ourselves as the leading manufacturer foam emerged as a material with our FRS UPVC Roof Sheet is manufactured based of latest technologies and European standards PVC resin formulation. Its adopts PVC as the main material which is then mixed with anti-UV additive and other chemical additives. 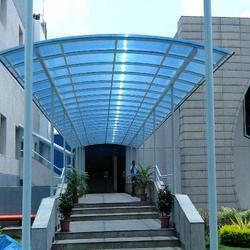 UPVC Multi – layer roofing sheet. 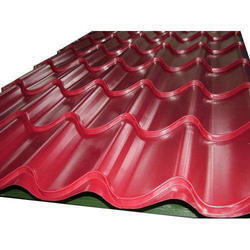 We are pleased to introduce ourselves as the leading manufacturer foam emerged as a material with our UPVC Tiled roof sheet is manufactured based o latest technologies and European standards PV resin formulation. Its adopts PVC as the main material which is then mixed with anti-UV additive and other chemical additives. Anti – oxidants & modifying agents and UV stabilizers gives very high service life, Very good at Acid & alkali resistant. We are pleased to introduce ourselves as the leading manufacturer foam emerged as a material with our FAISAL LITE UPVC Roofing Sheet is manufactured based of latest technologies and European standards PVC resin formulation. Its adopts PVC as the main material which is then mixed with anti-UV additive and other chemical additives. UPVC Multi – layer roofing sheet.